Access all Highlands Ranch homes for sale here! 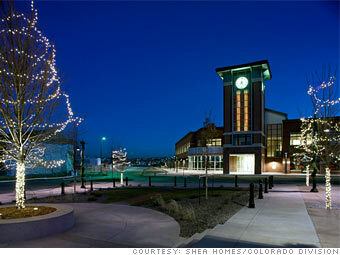 Located just south of Denver is the community of Highlands Ranch. Highlands Ranch is a suburb of Denver that has undergone several advancements due to a large amount of expansion in the area. Founded in 1981, the community was home to only about 10,000 residents, however there is approximately 100,000 people living in the area now. Homes for sale in Highlands Ranch are comprised of multi-level, luxurious custom, and ranch-style homes. The quality of homes combined with the additions of the neighborhood has made Highlands Ranch a highly desirable place to live. Browse through all available Highlands Ranch homes for sale below, or continue on to read more about the Highlands Ranch real estate market. GET UNLIMITED ACCESS TO HOMES IN HIGHLANDS RANCH! When you team up with The Kuchar Team, you will gain exclusive access to our most Advanced Search Tools! Receive Real-Time Email Alerts the moment a home matching your exact criteria becomes available on the market. Registration is fast, easy, secure, and you can opt out at anytime. The Highlands Ranch real estate market is made up of luxurious one-of-a-kind custom properties, sleek multi-level homes, and affordable ranch-style homes that exude quality. The professional design of these homes are of the highest regard and provide the best first impression possible. These homes’ exterior utilizes elements of stone, brick, and stucco to form some of the most impressive properties around. Step inside any of these magnificent homes to find outstanding interior design. Open floor plans combined with vaulted ceilings provide prospective buyers with the ultimate in interior customization. Living areas, hallways, and spare rooms can be decorated anyway you see fit, without the worry of overstuffing a room and losing valuable space. Kitchens are flush with oak panel cabinets, granite tile countertops, and stainless steel appliances. Years ago, I chose to live in Highlands Ranch, and I have never looked back. My family and I live on a cul-de-sac on the east side of Highlands Ranch. Our neighbors are awesome, and our neighborhood is a tight-knit community. During the summers, we have block parties where almost the entire community joins in. We play movies on the garage door, the family across the street has their fire pit going, and the doctor in the corner house brings out the fireworks for a wonderful summer experience. Memories like these are why I am so happy that I invested in Highlands Ranch real estate, and am proud to call this town my home. My family and I love our life here in Highlands Ranch, not just because of the house we live in, but because of the community that we are a part of. The Highlands Ranch community is filled with various activities and amenities easily accessible throughout the area. There is a total of 25 parks, 70 miles of walking, jogging, or running trails, and approximately 2200 acres of open area space. This gives residents of the area the opportunity to get outdoors and enjoy any leisurely activity on a regular basis. Highlands Ranch is also home to the Highlands Ranch Community Association. The HRCA is dedicated to the maintenance of four state-of-the-art recreation centers, while managing a wilderness area, and hosting over 100 annual community events. They provide fitness, sports, and educational opportunities to area residents in an effort to allow residents to live the life they want in Highlands Ranch. One of the big advantages of living in Highlands Ranch is having awesome recreation centers where you can enjoy almost every sport and many other activities. When the kids say " I'm bored" they have no excuse. I send them up to the rec center to play volleyball in the winter and swimming in the summer. In Highlands Ranch we all pay into the master association quarterly which goes to support the rec centers. If you live in Highlands Ranch you are able to enjoy the Highlands Ranch recreation centers free of charge. Some of the Recreation centers in Highlands Ranch are located near parks and trails. You can find information about all four recreation centers by clicking the links and they'll take you to their official websites. Highlands Ranch is a member of the Douglas County School District. Being a member of the DCSD allows residents the opportunity to choose from a vast array of education options for their children. Below are the total number of schools available to choose from in the Highlands Ranch area. Interested in Highlands Ranch homes for sale? If you have questions about Highlands Ranch or the surrounding areas, please don't hesitate to send us a message or call The Kuchar Team at 1-303-710-3810. We're here to help you with all of your Highlands Ranch real estate needs. Nice Split Level with 3 Bedrooms, 3 Baths. Vaulted ceilings. Family Room with Fireplace. Kitchen with all appliances. Tiled floors. Deck and Large Fenced yard.